This stamp of three pens is beyond cute! Super fun to color in with brush-tip markers, too. 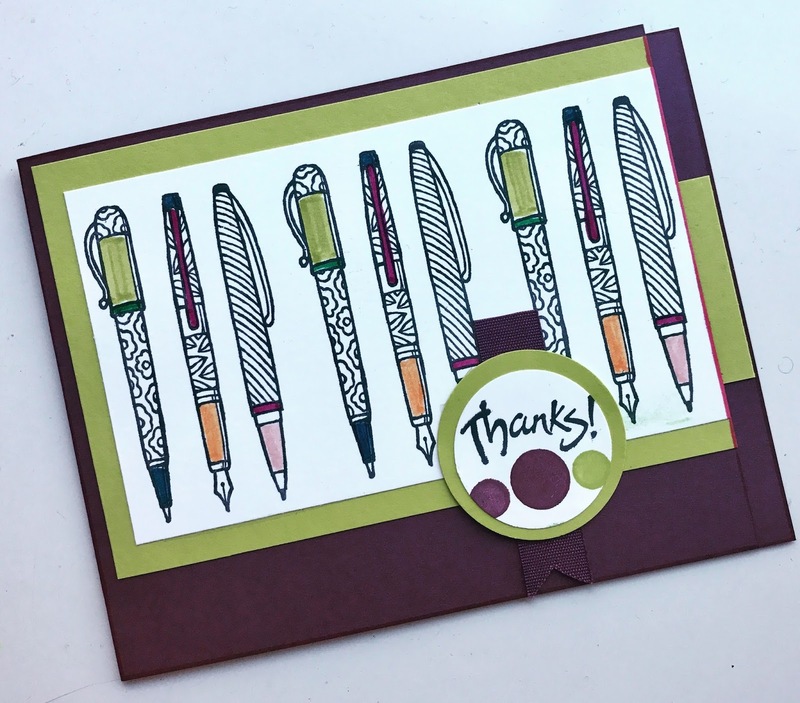 This was an easy card to make with stamped images and layered cardstock. One special touch I like is folding it so the front panel is a bit shorter than the back. Because the burgundy paper is dark, I placed a strip of the green paper inside for writing on, and it peeks out on the edge.